How Does Invite Others Work? 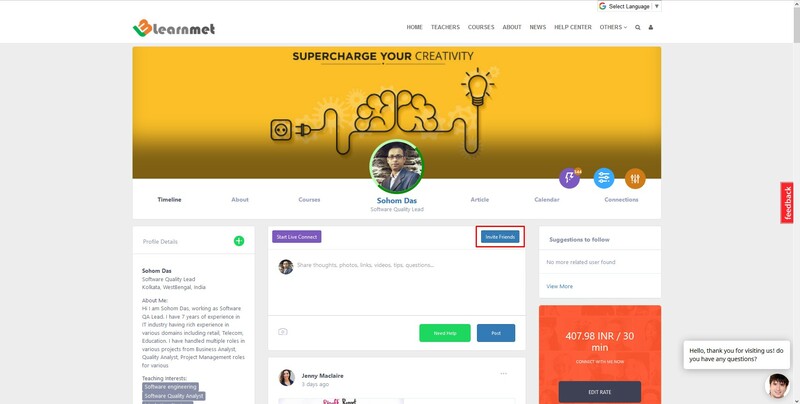 Step 1: Login to your learnmet Social Profile and click "Invite Friends" or click on "Dashboard" button on the profile. Step 2: System will redirect to the learnmet Dashboard and click on "Invite Others" in the top right corner of the dashboard. Step 3: System will provide two options to Invite others, Invite Via Email and Invite Facebook Friends. Step 4: Click Invite Via Email option and type valid email addresses in the fields and click invite button. Step 5: Click Invite Facebook Friends option and system will open a popup, if your browser blocking popup, allow it. Type name of your friends in "To" field, type a custom message in "Message" field and click "Send". Step 6: System will show the Invitation Status after the invitation is sent. Click OK to close the popup. Step 7: If you want to check the status of your Invitations, just click Invite Via Email option and click Referral Status button on Invitation form. Step 8: System will show all the status, Invited and Accepted requests. Digits invite email fields to refer Facebook invitation and all email invitation will show as email ids. 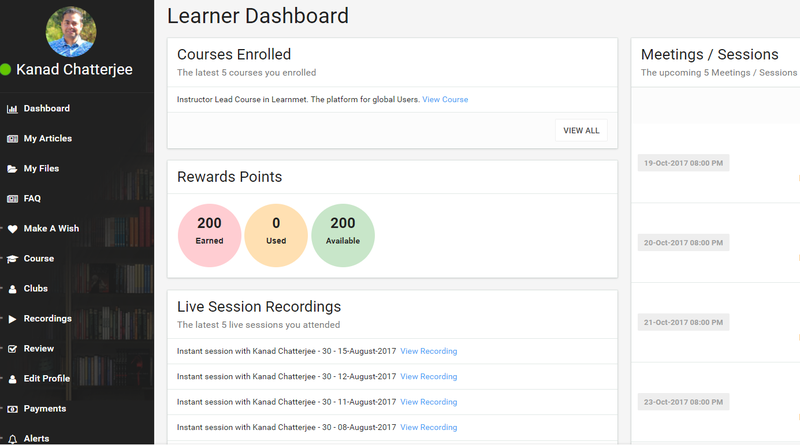 Step 9: Once your invitees create a free account at Learnmet, you will receive reward points that you can check on your dashboard.